Industry insiders reveal that G Flex 2 will bring major improvements over its predecessor and will launch at CES 2015 in January, although LG still has to confirm this. LG announced the G Flex curved phablet back in October 2013 and released it one month later. This premium handset is notorious for its curved P-OLED capacitive touchscreen and its self-healing back panel. Now it looks like the South Korean company is already preparing the launch of a second-generation curved phablet, and the event will take place next month at CES 2015 in Las Vegas. Unnamed sources spoke to Android Authority about the LG G Flex 2, but they did not reveal much about the specs and features of the upcoming device. However, these insiders claim the new G Flex represents a "major upgrade" and features a high resolution P-OLED screen (Full HD would be an improvement, since the original LG G Flex only has a 720p display). 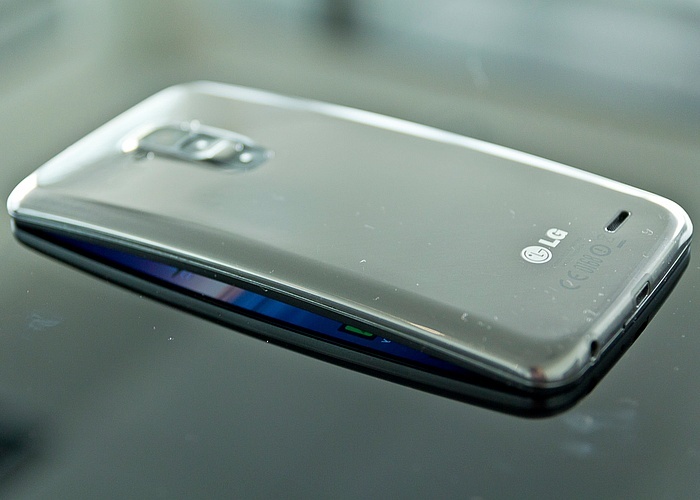 Next to the better display, the LG G Flex 2 is expected to have an improved self-healing coating on the back. LG did not confirm any of the above yet, so remains to see what happens. If these rumors turn out to be true, we might even get the LG G Flex 2 in stores by the end of February. We will keep an eye on this topic and report as soon as we find out something new, so stay tuned.